Paramount Lodging Advisors (PLA) adds hotel industry executive with over two decades of top-level experience to its management team. 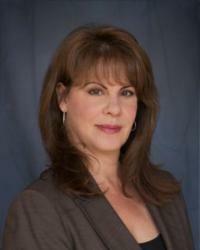 Lisa Hankamer will work out of PLA’s Houston office and serve clients in Texas. "PLA's platform as an elite, full service boutique operation with a very client-centric approach is a key reason why I joined the team," commented Ms. Hankamer. Paramount Lodging Advisors (http://www.paramountlodging.com), a leading hotel advisory and hotel brokerage firm specializing in the acquisition, asset management, debt and equity placement, and disposition of hospitality assets across the United States, Canada and England, announced today that it has added Lisa Hankamer as its new Senior Managing Director. Ms. Hankamer, who will be based in PLA’s Houston office, brings to the company over two decades of top-level experience in the hotel industry as owner/operator, developer, third party manager, and transactions specialist. In her most recent role with CB Richard Ellis, Ms. Hankamer and her team successfully brokered nearly half a billion dollars in hotel transactions for clients based in Texas and the surrounding region. These properties included full and select service, resort and historic boutique hotel properties, and “ground up” developments. In addition to her notable industry experience and credentials, Ms. Hankamer is also dedicated community and civic leader. She is a Board Member for Camp for All, was a long-time Board Member for the Society of the Performing Arts, active with Trees for Houston, and is a past member of the IHA. She has also established a commercial real estate fundraiser, which has raised over $75,000 for Houston-area charities over the past six years.